T/N: Please note that these are speculations from the Japanese press. Please read it with a pinch of salt. “JJY halts activities..Tohoshinki cannot sing in Japan.” Tohoshinki, the group that, due to the management company SM Entertainment and exclusive contract issue, has halted all domestic and foreign activities. 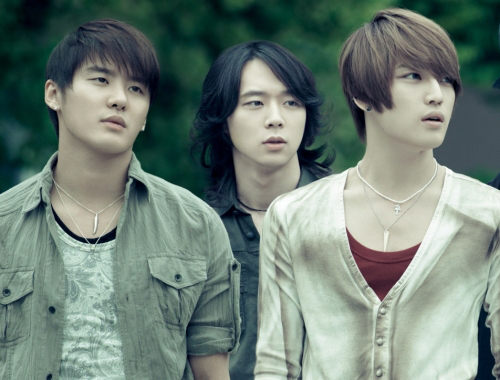 Members Junsu (Xiah), Jejung (Hero) and Yuchun (Micky), due to alleged relations with organized crime groups, were withdrawn from their Japanese management company Avex Entertainment. The local Sports Nippon news reported the incident with the above title on 17 September. JJY is derived from the initials of Junsu, Jejung and Yuchun. Sports Nippon said, “It will be impossible for the 3 to appear in the Year end Kouhaku Utagassen” although “Presently, Tohoshinki members’ songs are widely heard in Japan.” Also, “Avex had gone through Korea’s C-JeS to sign a contract with the 3. However, this company’s representative has a history with violent gangs, and using his father’s background, forced actor Kwong Sang Woo into an exclusive contract, was found guilty and got sent to prison. Avex, with their business ethics in mind, decided to cut the trio’s management off.“ they reported. Also, “Their current decision will also help to improve their chances of reconciling with SM, who has had a poor relationship with them since the lawsuit began.” Without the support of Avex, the three’s chances of being isolated is very high” they analyzed. 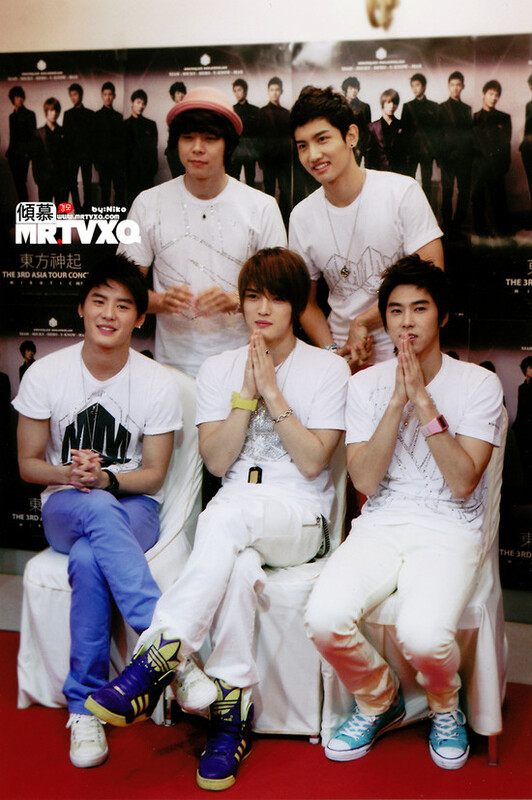 “Furthermore, if Tohoshinki restarts their activities, the three would definitely have to reconcile with SM. 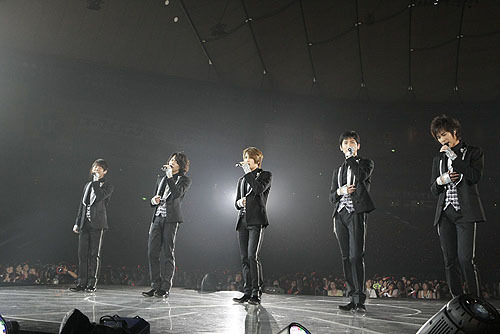 Avex revealed that “the 5-member Tohoshinki’s exclusive contract is unchanged. They will be working hard so that they can re-start their activities as 5,” but with the ruling of the lawsuit, which seems like it will happen this year, and if the three loses, a lengthy appeal period will be inevitable, and even with a ruling passed locally, an amicable end still seems difficult” Sports Nippon predicted. On 17 September, Chunichi Sports News also reported with the headline “Tohoshinki Trio Halts Activities In Japan, Korean Management Company Representative Convicted.” saying “For 2 years starting May 2003, the C-JeS representative managed popular Korean actor Kwong Sang Woo, but in 2006, Kwong Sang Woo revealed that “I was forced to sign the exclusive contract,” giving them much negative press. The representative was found guilty of coercion, and he served time in August that year,” they pointed out. On the other hand, “Within a day, Avex has received over 200 enquiries about this news from Tohoshinki fans. It is also a fact that in July this year, Yuchun’s (Micky) manager was charged without detention for physical violence.” Also, “A decision on the lawsuit between the trio and SM, is expected to be revealed by this year. (With regards to the current matter), it is highly likely that important claims on the SM side will remain unchanged,” they predicted. Makgeolli, Korean rice wine also known as “drunken rice” in English, has been a big hit in Japan with its consumption soaring three times this year, compared with that of a year ago. The domestic liquor became popular among Japanese, a century after Japan annexed Korea by force. Now Korea has conquered Japanese taste buds with its cuisine and won their hearts and minds with dramas and K-pop. “One of the distinctive trends shown in Japan after the Korean wave or hallyu was that women in their 40s and 50s have become active Internet users,” Maki Tsuchida, a journalist based in Seoul and long-time watcher of the Korean wave, told The Korea Times. But now, he added, they became active bloggers posting their messages and finding information on forthcoming fan meetings and other schedules. Yasushi Hatta, a freelance journalist and food columnist contributing Korean food columns for Asahi.com, said Japanese people’s growing interest in Korean cuisine was partly caused by hallyu there. “Korean restaurants have popped up here and there in Japan since 2005. Now, many Japanese enjoy a variety of Korean foods from cold noodles to bibimbap to Korean barbeque,” Hatta said. Tsuchida said the popularity of Korean dramas reached their peak from 2003 to 2005, calling the period the golden days of the Korean wave. “The hit drama `Winter Sonata’ was first aired in 2002 and Japanese women in their 40s, 50s and even 60s were mesmerized by the lead actor Bae Yong-joon called Yonsama in Japan, after that,” the Japanese journalist said. Tsuchida said they were the fans of pop idols when they were in their 20s and Japanese pop music was popular. “Now these women fans play a key role in sustaining the Korea boom in Japan,” he said. In the early 2000s when hallyu drew attention from the Japanese media, most fans were middle-aged women. Now, young Japanese show up at K-pop artists’ concerts or performances. Hallyu experts say the shift in the age of fans from middle-aged housewives to young people in their 20s was made after the five-member boy band TVXQ gained popularity in Japan. This year, several Korean girl groups, including Girls’ Generation and Kara, have made their debut there. Girls’ Generation made its official debut Wednesday. Five-member dance group Kara performed in downtown Tokyo on Aug. 11 to promote its debut album. They were originally scheduled to perform for 30 minutes but they had to end the performance five minutes later, as thousands of young people flocked to their street concert. Police asked them to stop performing for the safety of the audience. Asked if these Korean girl groups can be successful, Kim Eun-joo, a publicist for Kara, pointed to the sales record of their first album, instead of giving a direct answer to the question. “For the first week after Kara made its debut, approximately 30,000 albums were sold in Japan. I think this is a pretty good start,” she said. Tsuchida was cautious about the prospect for Korean girl groups’ continuing popularity in Japan. Jin Chang-soo, a senior fellow of the Sejong Institute, a think tank, said the past century saw both positive outcomes and negative fallouts. He said people in the two countries came to have improved impressions of their counterparts. “Japanese people came to have a better understanding of Koreans after they watched Korean dramas. I think that probably now is the time when the reputation of Koreans is most positive among Japanese,” the scholar said. The Korean wave in Japan prompted a sharp increase of Japanese tourists coming here. Amid growing human and cultural exchanges, Jin said a feud between the neighboring nations has deepened over history since 2000. Japan stepped up its territorial claim over Dokdo in school textbooks and the defense white paper. In response, the Korean government has stepped up its effort to spread the fact that Dokdo is part of Korea. The historian said the end of the Cold War probably prompted the two nations to step up territory claims. “During the Cold War when the two blocs ― one led by the United States and the other spearheaded by the former Soviet Union ― were in conflict, the history issue had been `sealed’ for the sake of the greater common interest ― security,” Chung said. Korean idol group TVXQ will be releasing a special Japanese DVD album on July 15, according to Japanese daily newspaper Sankei Sports on Wednesday. Sankei reported that the group, despite having halted all group activities, will release a special album in DVD format with highlights from the upcoming Japanese film “Kimi Ga Odoru, Natsu” which also includes an advance ticket for the movie. The boy band’s song “With All My Heart” is featured as the theme song for “Kimi Ga Odoru, Natsu,” set to hit theaters in September. “The members of the group are currently working on individual projects but they have prepared this surprise for their fans,” an associate from Sankei explained, adding that the album will go on sale on July 15 although there are no plans for it to be sold as a single album. The theme song “With All My Heart” is one of the tracks from their best album “Best Selection 2010,” which was released in February, and the latest version has been rearranged with a simple piano instrumental. The special album will also include three different versions of the song. TVXQ has halted all activities as a five-man band with Xiah, Hero and Micky applying for provisional disposition of their 13-year contract with SM last July. They then filed a lawsuit against SM last week, demanding they be confirmed their contract had been nullified as well as be handed their share of profits they claim to have failed to receive. The three singers formed a new trio away from their original band TVXQ with Japanese agency AVEX a few months ago. SM too has sued the three singers for the damages the agency and the remaining two members, U-Know Yunho and Max Changmin, have suffered from the legal battle. Since their 2004 debut, TVXQ, discovered and managed by SM, had arguably been one of the most successful K-pop acts in Asia with reportedly the largest fanbase in the world. [TRANS] 100525 Is Tohoshinki Japan’s Top Star? [NEWS] TVXQ Establishes a Record in Japan! Dong Bang Shin Ki announced the suspension of their activities as a group on April 3, but it is true that they left a significant legacy in the Japanese music industry. Dong Bang Shin Ki debuted in Korea with their single entitled “HUG” in 2004 and garnered every Rookie of the Year award. The next year, they also debuted in Japan with the song “Stay With Me Tonight” and since then, they have released 30 singles and four albums in Japan and have grown to become star artists. When Dong Bang Shin Ki’s 30th single “Toki wo Tomete,” which was released March 24, ranked atop the Oricon single chart, they established a new record. They have ranked in first place on the Oricon single chart eight times, which is the most number of times for a foreign artist. The previous record was seven times, which they also set. In addition, their first best album “Best Selection 2010,” which was released last February, sold 410,000 copies in the first week after being released. Due to this fact, they also ranked atop the album sales five years since their debut and recorded the largest sales volume as a foreign group. According to a person in the music industry, the single “Toki wo Tomete” and the album “Best Selection 2010“ reportedly sold as many as 300,000 and 800,000 copies, respectively. Dong Bang Shin Ki began their activities in Japan as unknown singers, but they became star artists in Japan by selling more than 513 albums even in the midst of a music sales slump that lasted until the end of March. Even after their announcement about their suspended activities, the ranking of their single “Toki wo Tomete” has newly ranked in 38th place in terms of the number of downloaded ring tones, risen from 7th place to 3rd place in the category of video clips, and also risen from 2nd place to 1st in video ring tones. Those rankings are showing that their fans are still highly interested in their music. 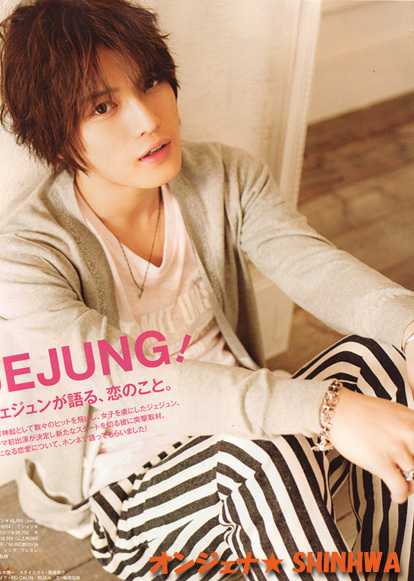 Dong Bang Shin Ki appeared on NHK Kouhaku UtaGas for two consecutive years in 2008 and 2009, and they also won the best album award in the Japan Record Awards. Additionally, they successfully held a concert live at the Tokyo Dome over two days, with all tickets sold out, in July last year. The DVD of their Tokyo Dome live released at the end of September last year sold 171,000 copies during the first week of sales and capped a splendid achievement by ranking atop DVD sales for the first time for Asian artists. As of April 12, a total twelve of DVDs which Dong Bang Shin Ki have released in Japan are listed in the top 200 list, and seven DVDs among them are listed in the top 100 list. Also, another DVD — ”Tohoshinki Video Clip Collection – The One” — which has reached number one by selling 109,000 copies during the first week of sales after its release on March 17, remains in the top 10 for DVDs since that time. Due to those splendid achievements that they have made, Dong Bang Shin Ki ranked in 3rd place on the Oricon Yearly Singles Ranking for 2009 following the Japanese idop groups Arashi and Exile. The ranking was decided based on the total number of sales of singles, albums and DVDs, and Dong Bang Shin Ki recorded 6.89 billion yen (about 8.26 million won) in total sales. Meanwhile, after the suspension announcement made on April 3, their fans left about 15,000 messages over only three days until April 6, wishing for the group’s continuation and comeback. Even with Dong Bang Shin Ki’s announcement to suspend their activities, the Avex agency officially announced on April 6 that the official Japanese fan club “Bigeast,” with more than 120,000 members, will still remain intact. At present, the five members of Dong Bang Shin Ki are preparing for individual activities as actors in dramas and movies and as solo singers. With the announcement of Tohoshinki’s activities as a group coming to a stop, they still leave a strong trace in the Japanese music industry. In Korea, Tohoshinki debuted in 2003 with “Hug”, earning them various new artist awards. In 2005, they made their way into the Japanese market with “Stay With Me Tonight”. Since then, have released 30 singles and 4 albums, and have firmly secured their honorable position at the top as famous artistes. On March 24, 2010, they released their 30th single “Toki Wo Tomete”, which both earned them #1 on the Oricon charts, as well as their 8th time in placing #1 in the weekly charts, breaking the record for overseas singers. In addition, Tohoshinki also released their “Best Selection 2010” album in February, and sold an extraordinary 410 000 copies in just the first week. Hence, since their debut in Japan 5 years ago, they set the record for the highest number of copies sold as overseas artistes. 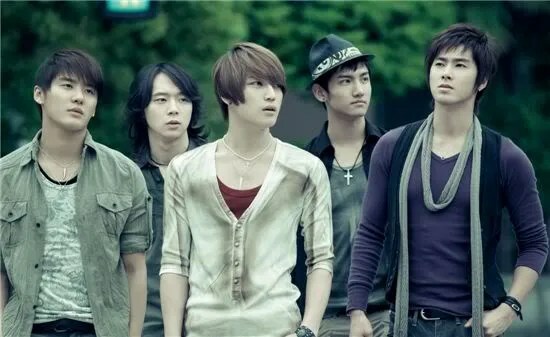 With the music industry sinking farther in terms of the economy, Tohoshinki’s records still managed to sell over 5 million copies since their debut into the Japanese market. Profiting from such outstanding success, on the “2009 Oricon Annual Charts”, Tohoshinki reaped in a total of 6.89 billion yen (t/n: approx 75 million USD) coming after popular groups Arashi and EXILE, and placing as #3. With such astonishing achievements, Tohoshinki really are true stars, not just in name, but also in reality.